This season, we’ve had the pleasure of working on our new collaborative artist initiative with talented Chicago-based artist, Mitch Reardon. 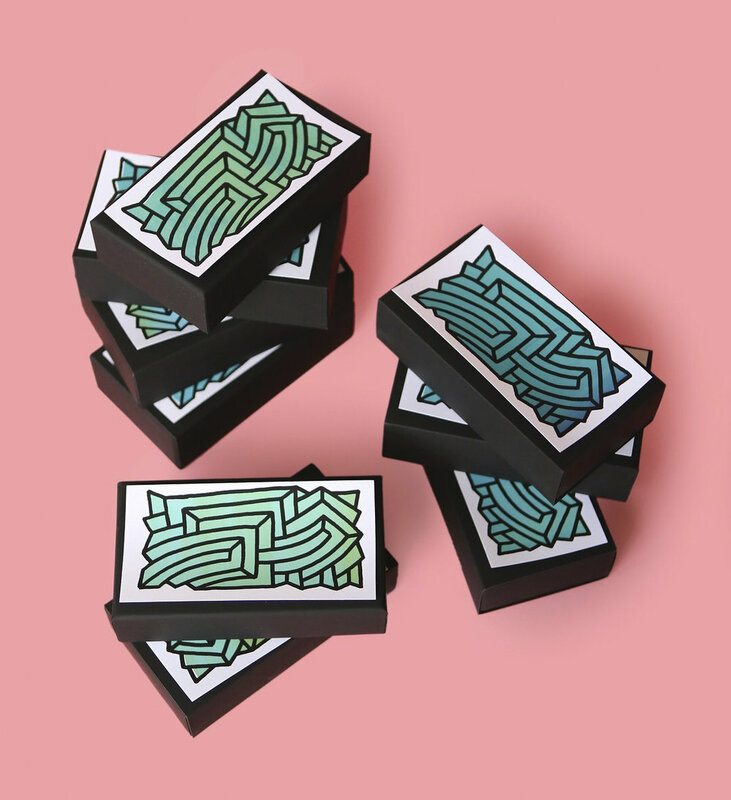 Featuring his branded maze-like works in vibrant color, each piece is completely unique, signed and editioned by Mitch himself. A limited set of custom hand-pulled screen prints, they'll be arriving on the doorsteps of our next 300 customers. Where art meets accessory; order now to enjoy.